Please include your name or company name in the Gift Message. Collect gifts from family, friends and colleague. Find out how. 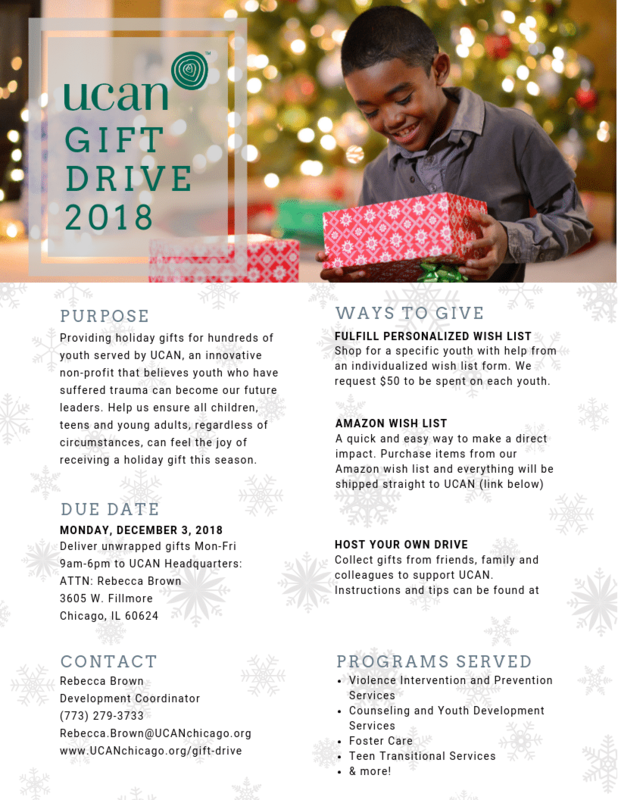 Items must be delivered, unwrapped, no later than Monday, December 3th, 2018.